You don't need to impress anyone. Be yourself in the captivating comfort of this Paul Smith™ Regular Fit Polo. 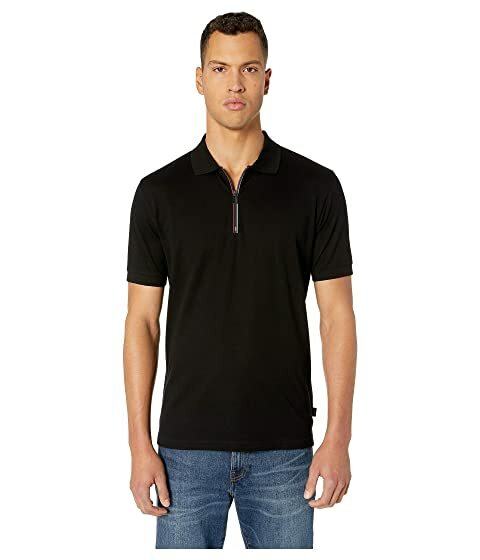 Polo collar with quarter-zip placket. Straight-cut hem with side vents. We can't currently find any similar items for the Regular Fit Polo with Cycyle Stripe Zip Tape by Paul Smith. Sorry!